Haskell’s Camp, c. 1920 — And A Special Guest Post! Loblolly Cove of Lands End holds some uncommonly known and interesting bits of Rockport history. Rockport used to be a flourishing port and the spot called Loblolly Cove was the last bit of land that tourists saw on their way to Europe as their ships steamed out into the open wide ocean. On that spot stood a picturesque little wharf with an antique cabin close by the shade of beautiful trees. This place used to be a favorite haunt of tourists and locals and hosted many famous visitors. The place was called Loblolly Camp and on the wharf, famous fish dinners were served by my husband’s great grandfather Emerson Haskell and his family for almost 50 years. In 1896, Captain Emerson used to invite officers of schooners that were in the port to Loblolly Cove for shore dinners. He served them lobsters and clams caught right in the cove. People passing by would get a whiff of the clams steaming on the rocks, and the lobsters broiling over a charcoal fire, and began begging for dinners too. The camp was built piece by piece out of driftwood. Rough wooden tables and chairs sat upon the wharf and a canopy of sail cloth covered the tables to protect diners from the sun. A century old boathouse served as the kitchen. President Taft visited in 1912. It was in this spot at Loblolly Camp that President William Howard Taft was an honored guest. The president and a party of 32, including Mrs. Taft and their children, were brought over by John Hays Hammond Sr. who lived in Gloucester and was a friend of the president. This event was held in August of 1912. They partook of a lobster dinner, followed by a clambake, prepared in the real old fashioned way with plenty of green corn, sweet potatoes, lobster, fish fillets and juicy clams all steamed in a pile of seaweed out on the rocks. Though Captain Emerson Haskell and his son, Captain Frank Haskell, tried to keep the president’s visit a secret, somehow word got out and hundreds of people filled the roads and surrounding hills and even stood by in dorries and sailboats to watch the presidential feast. 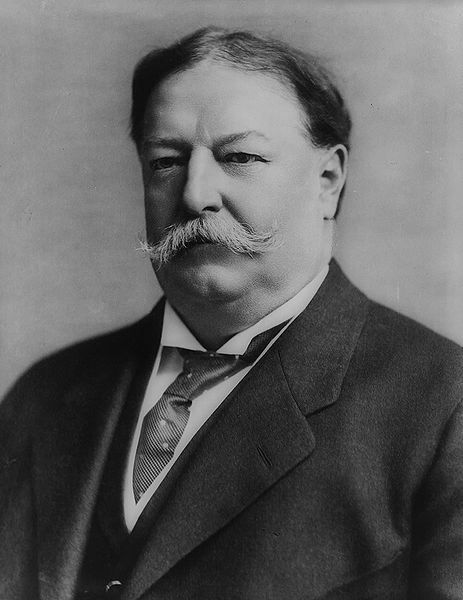 Fortunately, president Taft was a jolly man and did not mind the spectators. He ate with his usual hearty appetite and canceled an afternoon drive to spend a few extra hours at Loblolly Camp, leaning out of his car and shaking hands with everyone before leaving. 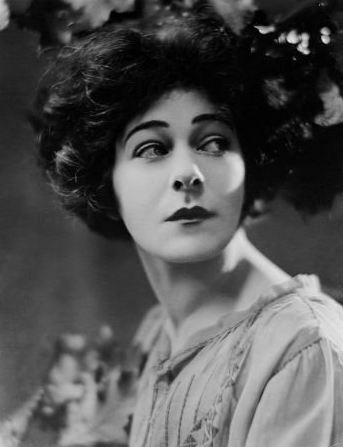 Actress Alla Nazimova visited while filming. Loblolly camp was a popular place and attracted other noteworthy visitors such as H. C Frick, the steel tycoon, and Tom Walsh, the Colorado mining tycoon, who brought his daughter Evelyn (Mrs. Edward Mclean), who was the owner of the Hope Diamond. The ambassadors for Belgium, Brazil, Siam and Romania were hosted. Other visitors included Hollywood actress Fay Bainte and the flamboyant Russian actress and silent film star Alla Nazimova, whom Natalie Hammond brought over as her house guest when the film Out of the Fog was being made at Straitsmouth Island. Groups of college girls would have an outing there every spring. The Appalachian Club of Boston held an annual clambake there. The John Boyle O’Reilly club came annually for clams and poetry reading. Captain Frank Haskell and his wife, the former Miss Annie Goodridge of Melrose, whom the captain met right at Loblolly Cove, where she was a guest of her parents, ran the camp before and after his father Emerson’s death in 1929, up until at least World War II, when gas rationing and blackouts curtailed the activities at Loblolly for a bit. Captain Haskell took a night job in Boston working as an armed guard and special policeman at a war plant until his son Francis Haskell and his niece Dorothy Hanson came home from serving overseas in the great war. Most afternoons, however, he continued spinning his yarns, which were almost as famous as his fare with natives, summer folk and the occasional shore patrol or coastguardsman who might wander into his camp. This entry was posted in Uncategorized and tagged Haskell's Camp, Loblolly Cove, Rockport Photo Bureau. Bookmark the permalink. 9 Responses to Haskell’s Camp, c. 1920 — And A Special Guest Post! I have heard of (and maybe even seen) a post card view of The Orchard tearoom that was built in the early 1930’s on Beach Street across from what is now the American Legion hall . Have you ever seen a copy of this card? I have seen it for sale. I do not have a copy of it (yet). I have heard of (and maybe even seen) a post card view of The Orchard tearoom that was built in the early 1930 s on Beach Street rcaoss from what is now the American Legion hall . Have you ever seen a copy of this card?Thanks in advance. I know the Rockport National Bank Calendar had a photo of the Orchard Restaurant in the 1930’s where full course meals were advertised as $1.00. The calendar was probably from the last 5 years. I was told my aunt worked there in the 1930’s. It seemed Rockport had more going on 70 to 125 years ago than it does now. Movies stars, presidents, stage stars and thoughts of being the biggest harbor refuge in the nation. Don’t hear about that now. I have seen postcards of the Orchard tearoom, although i do not have any. I’ll have to hunt one down. I have seen a post card of the Orchard tearoom and I have one. Captain William Emerson is my Dad’s Grandfather I have a picture of the Loblolly Camp that relatives from back sent to me, it shows some of the family sitting at the tables. I also have a Family Tree dating back to 1617 England..